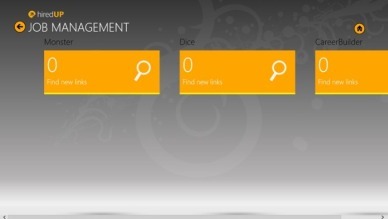 Fresh off the presses, the first batch of Windows 8 job search apps are now available. Like with my iPhone job search apps and my Android job search apps, each one is listed with its language(s), free/paid indicator and official description. All of these apps are currently available in the Windows Store. “Why do we always imagine the doors of opportunity being closed? Why do we feel lucky just to get a foot in the door? At Workopolis, you'll find doors to the most online job postings in Canada wide open. Doors that lead to great opportunities in your field and location. “Download den nye app fra Jobindex og orientér dig hurtigt om relevante job, når du ikke har din computer ved hånden. Du kan søge job ved at gå ind under dit fagområde og se alle stillinger i din geografiske region. Desuden kan du søge avanceret og vælge flere forskellige områder eller skrive et specifikt søgeord. 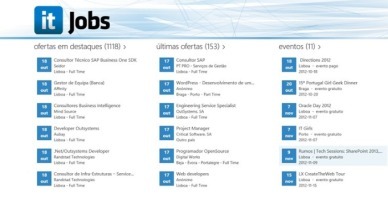 The home screen which displays a list of current job listings at Posao.ba portal. By clicking on the job listing, you open a detailed description of the listing: the company name, the name of the requested position, city or area, a detailed job description, as well as the dates of publication and expiration of the advertisement. If the job listing is designed, a picture will be displayed showing all the above mentioned information. 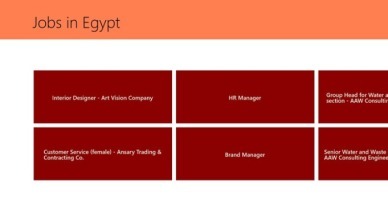 At the end there is a button for the applying for a job which directs you to the corresponding advertisement on the portal. 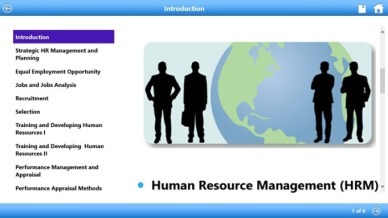 “WAGmob brings you Simple ‘n Easy, on-the-go learning app for Human Resource Management. The app helps you understand the basics in a nice and organized manner. How you upgraded to Windows 8 yet? Subscribe to JobMob via RSS or email and follow me on Twitter for more of the best Windows 8 job search tools. Powerful information for job seekers!